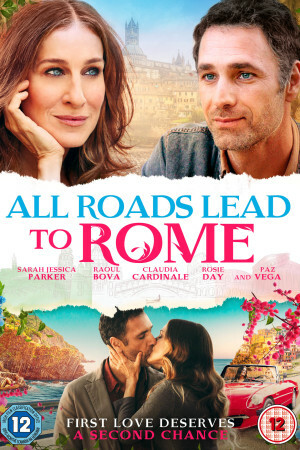 All Roads Lead to Rome tells the story of Maggie, (Sarah Jessica Parker) who wants to prevent her teenage daughter from making a very bad decision, so she takes her on holiday to Italy. Here, she meets her old lover Luca (Raoul Bova), whose mother wants to escape from him. When Luca’s mother steals a car and teams up with Maggie’s daughter to escape, Maggie and Luca travel together across Italy in pursuit.